As you may have guessed if you look at my recent tweets I am in Paris for work. I do apologise for not blogging sooner, I am no good at french and have only just managed to get the wifi to work! Anyway …. 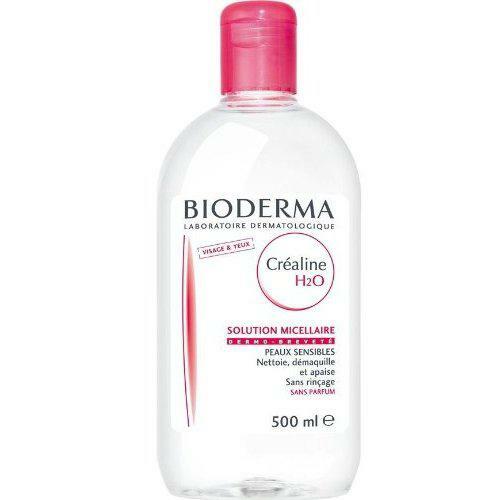 Many of you will already know that Bioderma is a french brand known for its kindness to skin, however it still maintains its effectiveness when removing make up. As its widely available here, I have picked some up and thought I would give you an overview of this product. Bioderma H20 is formulated for sensitive, normal to dry skin, the clear solution cleanses the face and eyes, gently but effectively removing make up, it even removes water-resistant make-up. The micelles contained in its formula effectively micro-emulsify impurities while maintaining the skin’s balance as it is pH neutral and contains no soap. It also contains soothing and decongesting active ingredients that prevent that raw, irritable feeling that can sometimes be associated with removing make up and cleansing the skin thoroughly. This has to be one of the best all in one cleansers I have tried. Now, you all know I am besotted with Liz Earle products and continue to use them religiously along with my Clarisonic (on which there will be a full review shortly) however, this is my first choice to initially take my make up off at the end of the day. I soak a couple of cotton pads with the solution and press the pads into my skin and then swipe away the make up. Some people have said it takes them ages to get their eye make up off or they use a load of cotton pads etc etc. This should not really be the case, I use on average, three cotton pads for my entire face including eye make up. As you all know, I wear a reasonably natural look but it is still a full face of make up and generally two coats of mascara. The trick is to do the eye make up bit properly – wiping away at your eye with this stuff will do it but it will cost you a pile off cotton pads as some have said. The easiest, fastest way to do it in a couple of wipes is to hold the pad over your eye for a few seconds FIRST, this enables the solution to start to dissolve the make up, thus removing it when you wipe away – simples! I have never had any issues with this product, its effective, it doesn’t dry out my skin, my skin doesn’t feel irritated afterwards, it doesn’t smell weird and best off all – it saves me buying seperate eye make up remover yay! Without a doubt it is a must have, especially if you have sensitive skin and I can tell you from experience that most make up artists will have it in their kit – it’s that good! The prices vary and are generally in euros as it is a french brand but a 500ml bottle lasts me nearly 3 months. The only downside to this product is that outside of France, it can be less simple to get hold of, however, the internet is great, just avoid Ebay where possible as often you will pay more than normal. I have listed some alteratives below.